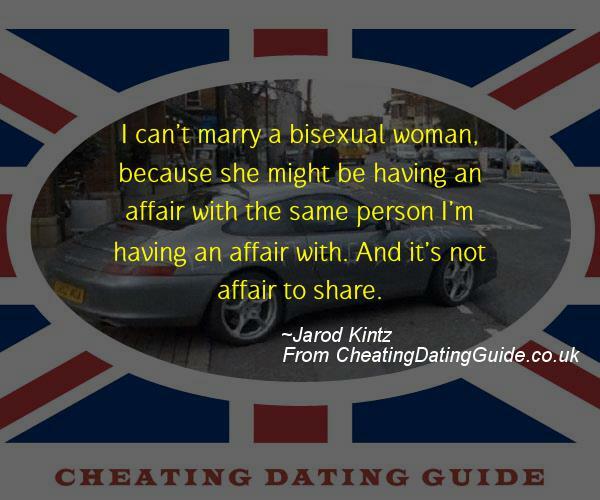 I can’t marry a bisexual woman, because she might be having an affair with the same person I’m having an affair with. And it’s not affair to share. Next post: Eli . . .” I rasped. I lost track of where his kisses landed, where his fingers touched, and grew too comfortable in his arms. “I can’t. Previous post: ecretary. the only passion I have lately seems to center around buying a handgun. Unfortunately, I can’t decide which one of us to shoot.